Charles Bukowski was a prolific underground writer who used his poetry and prose to depict the depravity of urban life and the downtrodden in American society. His works on alcoholics, prostitutes, losers and gamblers do not fit into the classical canon of modern literature – his direct language is full of violent and sexual imagery. In order to show that he therefore is rather like a glitch on a TV screen, when fancy pictures of happy life distort to reality, the rebranding of this book is a visual representation of his subject matters including a lot of ambiguity. Truly telling drawings and illustrations, held exclusively in black, white and red, transport the content in a creative and contemporary way, always playing with symbolism, heavy contrasts and with the typography. The topic of alcohol, which was indispensable for the author, is also depicted in an original manner. Featuring as a hip flask on the cover, the topic continues on the inside as a successively emptying wine bottle and numbering of increasing blood alcohol concentration. 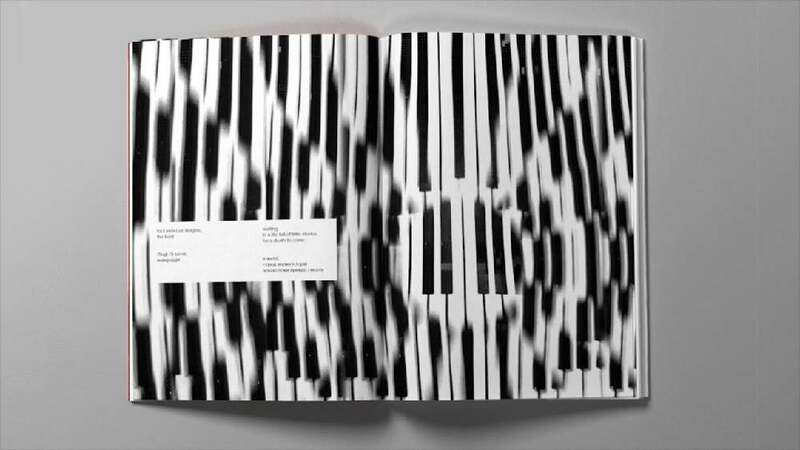 This book impresses with its captivating, high visual quality. Readers can easily relate to the life situation and moods of the author, including his crazy world of fantasies and selfdestruction, and this without reading even a single line of the author’s work. The outstandingly captivating illustrations and the experimental use of typography unleash their full potential and convey the message in a highly stimulating manner.